Great For Wall Mounted TV's or Other Tight Spots! 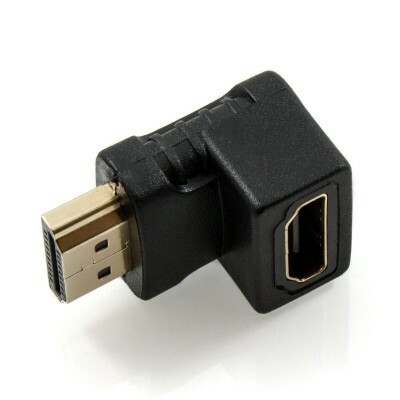 This Right Angle HDMI Adapter will accept a standard HDMI cable input, which is then converted to a right angle (connection faces down to accept HDMI cable to be connected from an upward direction). 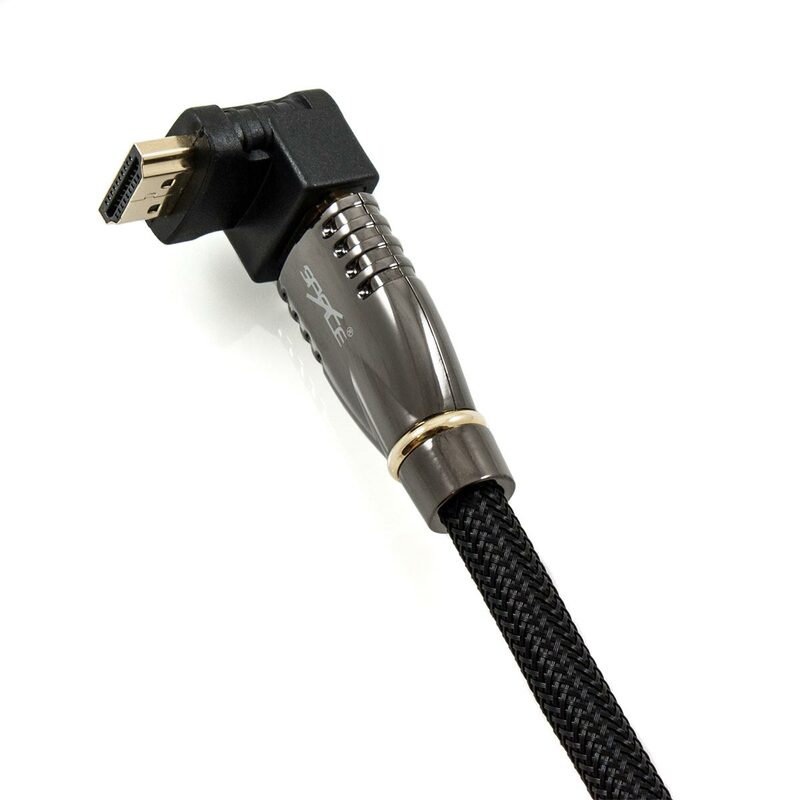 This is perfect for wall mounted TV's or other installation requirements where space restrictions may be present, which in turn demands a more compact connection solution. 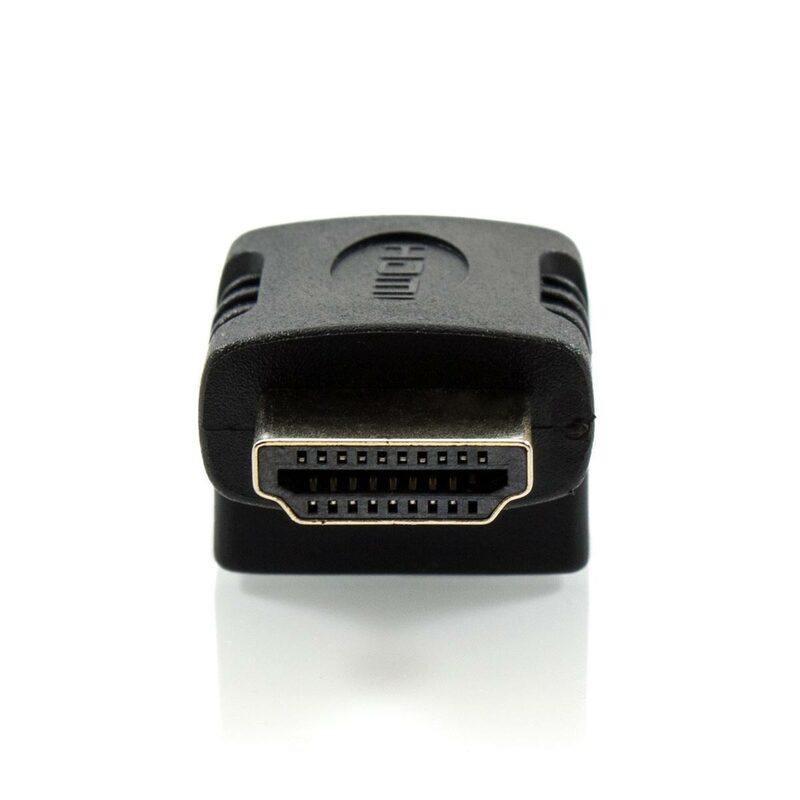 As this adapter simply passes the unaltered HDMI signal from the input cable to the connected display, all HDMI compliant resolutions and audio formats are supported. 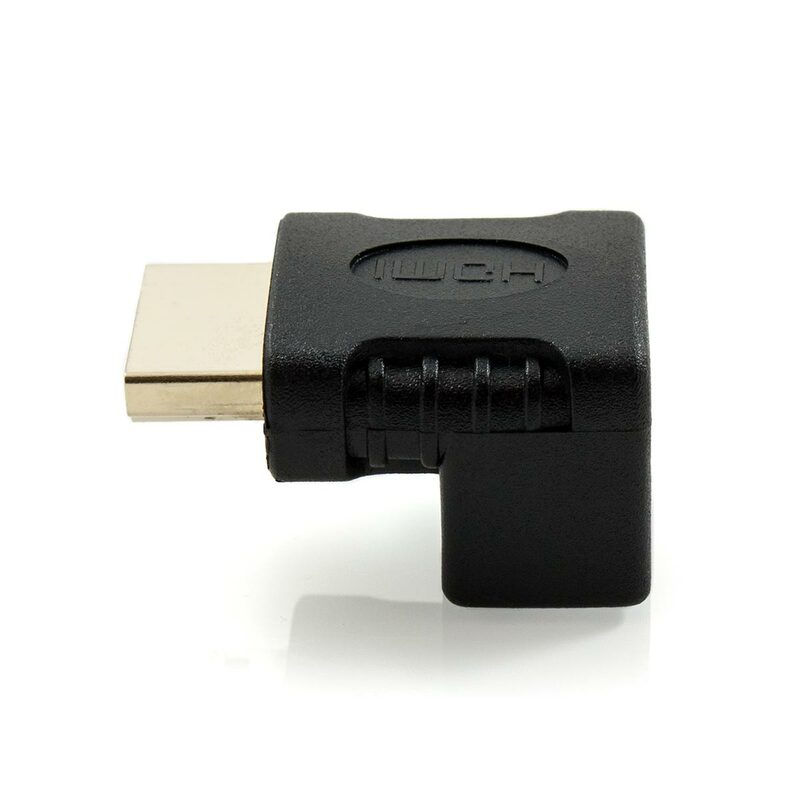 Simply click this adapter onto the end of any HDMI Cable for instant right angle conversion.